Thing 5, aged three absolutely loves his Micro Scooter but I was looking for other ride on toys that could be used indoors and outdoors for him and other children his age. Looking at ride on toys online I came across a huge range of bikes, trikes, scooters and ride on toys from various different brands. I asked Thing 5 to help me choose the ones he liked the best to do a round up post and here's what we found. Thing 5 already has a Micro Scooter and absolutely loves it. He rides it to preschool a lot and likes to take it to the park when we go. He is quite speedy too! Micro Scooter make scooters for all ages and for the toddlers there is the Mini Micro Scooter. Available in a huge range of colours and styles. The Mini micro Scooter for ages 2-5 approx. 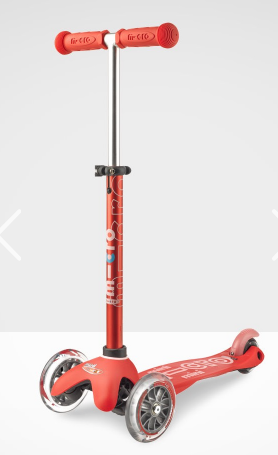 Prices start at £59.95 for the original mini micro up to £79.95 for the create your own Mini Micro scooter with various accessories to add too. 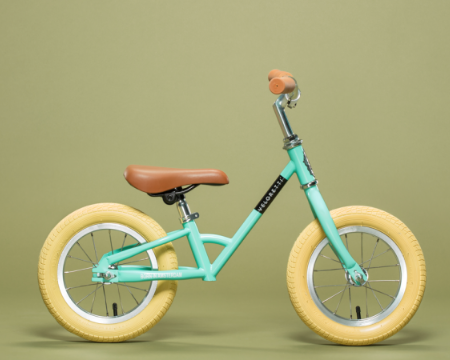 I have been looking at this balance bike from the Veloretti Kids range for Thing 5 for a couple of months now. I stumbled across the company whilst browsing on Instagram and have this next on my list to buy. I am keen to get him using a bike as soon as possible as Thing 4 hasn't really used a bike yet and I thought it was best to get him started sooner rather than later. 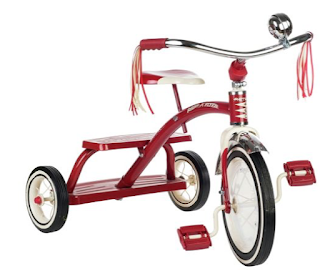 I thought a balance bike was a good place to start and this one looks really sturdy and looks great too. The perfect first bike for children aged 2-4. 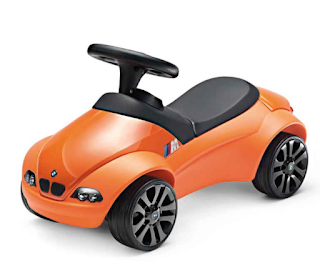 I found this cute little ride on BMW baby Racer II M3 from various different stockists online. It's a fab colour and I thought it was ideal for indoor or outdoor use. It's not overly huge yet great for them to scoot along and pretend to drive around. The Boppi Ride on Wiggle car is absolutely fab fun. Jump aboard, put your feet on the front and wiggle the steering wheel to make yourself move. My children have all had a go on one of these and absolutely love it, they argue over it when they go and visit their cousin as he has one. 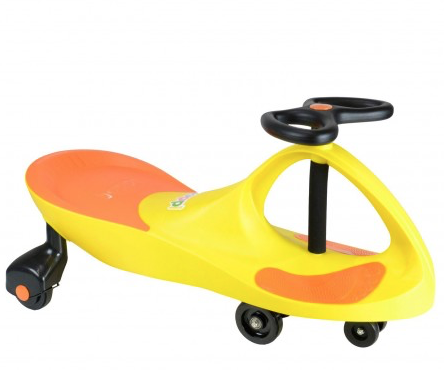 Suitable for ages 2-5 years although does have a maximum weight limit of 75kgs. My 12 yr old does jump aboard and have a go and I am sure there is an adult or two that has tried it out too! Little Tikes have been making the cosy coupe since 1979 and they are still going strong. From the original red and yellow cosy coupe that we all know and love you can now also get a princess cosy coupe as well as a police car, yellow taxi, fire coupe, grand coupe and so much more including the very cute Dino Coupe pictured below. I love this, it looks so fun and slightly different from the usual red/yellow variation but all cosy coupes are just as fun as the others. 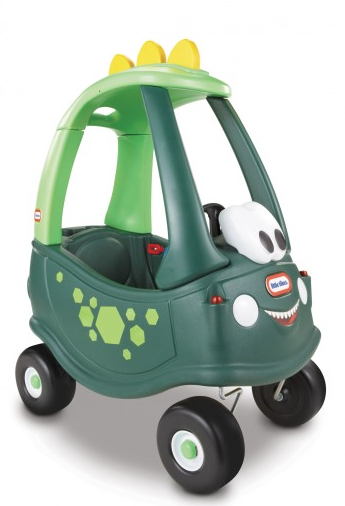 Little Tikes Dino Coupe, priced at £59.99 for ages 18 months to 5 years. Radio Flyer make fab little ride on toys as well as there fab radio flyer wagons. I found this cute little tricycle on the Argos website. 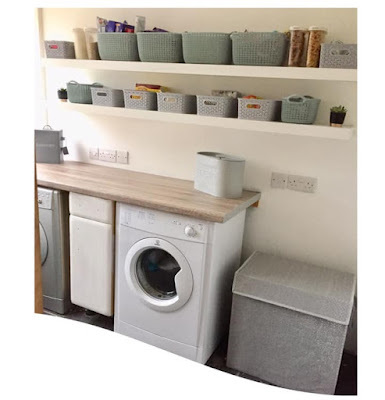 It looks fab with it's streamers on the handles and a little bell too. Three sturdy wheels for a toddler who is just learning to ride and you can also take a little friend for a ride by standing on the back. 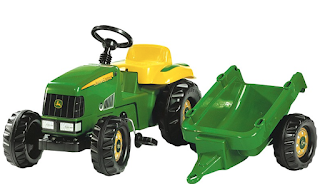 This John Deere Rolly tractor is one of Thing 5's favourite things that he found whilst we were looking for ride on toys. He would love to ride around in the garden on this and the trailer would be great for all of the sticks, leaves and stones that he loves to collect along the way. It looks very sturdy and ideal for out in the garden over the Summer and into the Winter, I could get him collecting the autumn leaves in his trailer for me! John Deere Rolly tractor with trailer. For ages 2.5 yrs upwards. £69.30 from the John Deere online shop. This is just a few of the many ride on toys that we found for the younger children. Thing 5 chose the best ones to show here in this post but there is so many more ride on toys to be discovered online and in stores. Which ride on toy would your child choose? Win a holiday to Lanzarote on my blog!